Kristen Ertz joined Banks Street Partners in 2017 as a Human Resources & Project Manager. Kristen collaborates with firm leadership to implement strategic project initiatives and process improvements while also managing the overall HR, Recruitment and Marketing practices for the firm. Prior to joining Banks Street Partners, Kristen worked in Project Management at Piedmont Natural Gas for three years, where she managed large scale technology and compliance related natural gas projects and programs valued up to $170 million. Additionally, Kristen worked as a Talent Acquisition Business Partner at Piedmont Natural Gas. 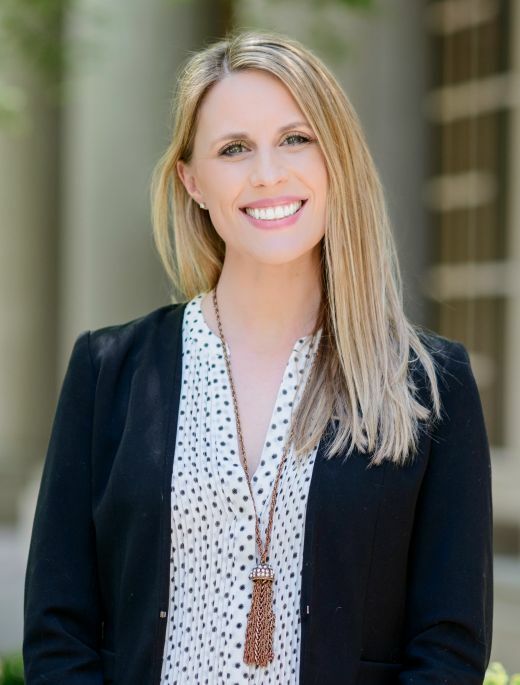 Prior to joining Piedmont Natural Gas, Kristen worked as a Human Resources Generalist for Kimley-Horn and Associates, Inc.
Kristen graduated from North Carolina State University where she received a Bachelor’s of Science in Business Administration. Kristen also holds her Professional in Human Resources (PHR) certification and has completed Six Sigma Yellow Belt training. Kristen is a passionate about animals and yoga and is an advocate for The Relatives, a local non-profit organization in Charlotte that serves high risk and homeless youth. Kristen graduated from North Carolina State University where she received a Bachelor of Science in Business Administration.